Are any of these medically-monikered acts for real? 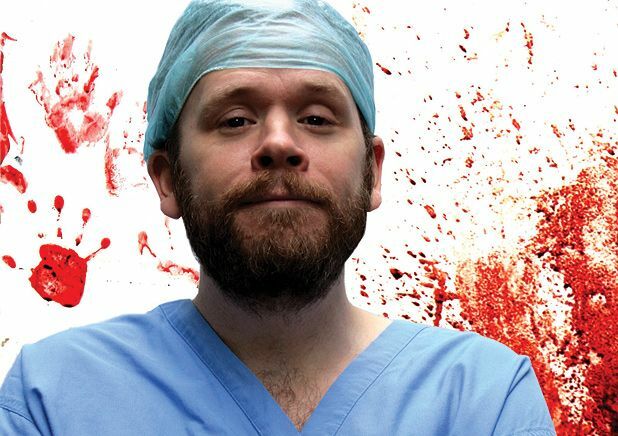 Not on your nelly, but this character act is the most convincing on the Fringe with his very detailed tales of the terrible, frankly ugly things that can go horribly wrong with and to the human body. The distress caused one watery-eyed press wag to dub him a really weird yet oddly appealing mix of Jim Jefferies and Stephen Fry. The invitation he sent out was to ‘come to the “psychology of dance” show and find out why we were born to boogie’. Only a real doctor who wears tweeds and that would ask young people to ‘boogie’. Nope, it’s just a reference to his geekiness. Nah, he’s wearing swimming goggles in his publicity shot: would you trust him with a needle? Given this kids entertainer’s pyrotechnical tendencies, it could be that the good doctor is merely touting for business. He has an assistant called Wudwud and a show about ‘manly specimens’. He’s on at both the C venue and the Underbelly. No wonder they talk about being overworked. At the very least, someone could send them on their way in the morning with a pact lunch.